A Crowber, also known as a Crow, is a raven-like enemy first seen in New Super Mario Bros. 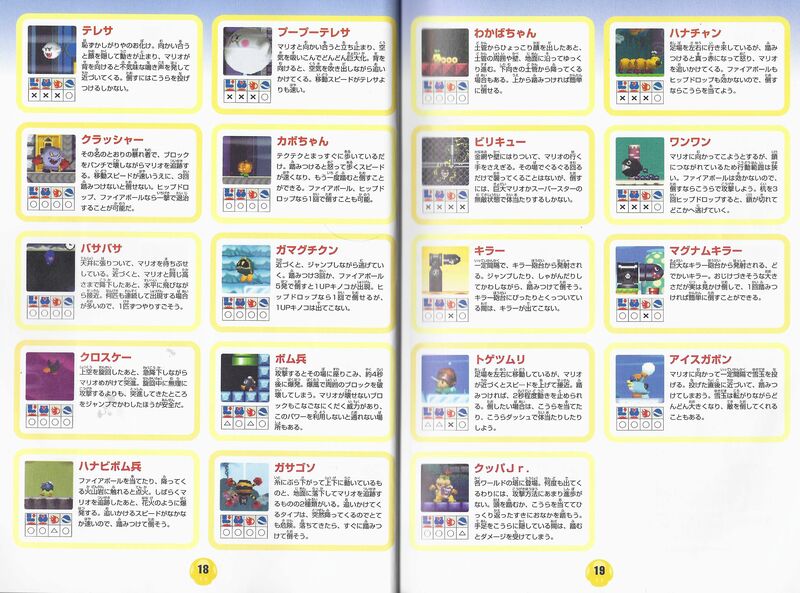 These enemies tend to appear in the last courses of the game, where they attack Mario or any other potential victim with rather fast moves. The name Crowber appears to be a pun from "crowbar," a tool used to remove nails. Crowbers are only seen in World 8-1, where they swoop down to attack Mario. As progress is made throughout the course, more will appear and chase after the player. Crowbers attack quickly, making it somewhat difficult for the player to defeat them. Crowbers reappear in the game New Super Mario Bros. Wii. 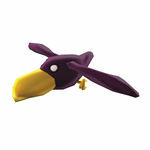 They are redesigned with a purple plumage and a lighter beak and legs, and appear in World 7- and World 8-5. They attack in the same manner as they did in New Super Mario Bros.
Crowbers reappear in New Super Mario Bros. 2. They appear in World Mushroom - , World 6-4 and in Course 1 of the Impossible Pack. They maintain their appearance from New Super Mario Bros. Wii. Kurosukē Likely from the transliteration of crow, kurou, but may also derive from the word for black, kuro, which is their color in New Super Mario Bros.
Crowbers were going to reappear in Paper Mario: Sticker Star, but were cut from the game. However, a Toad Quiz in Mario & Luigi: Paper Jam has the enemy's name as one of the answers. ↑ Loe, Casey. New Super Mario Bros. Player's Guide. Page 11. ↑ von Esmarch, Nick. 2012. New Super Mario Bros. 2 PRIMA Official Game Guide. Page 33. This page was last edited on April 6, 2019, at 08:57.